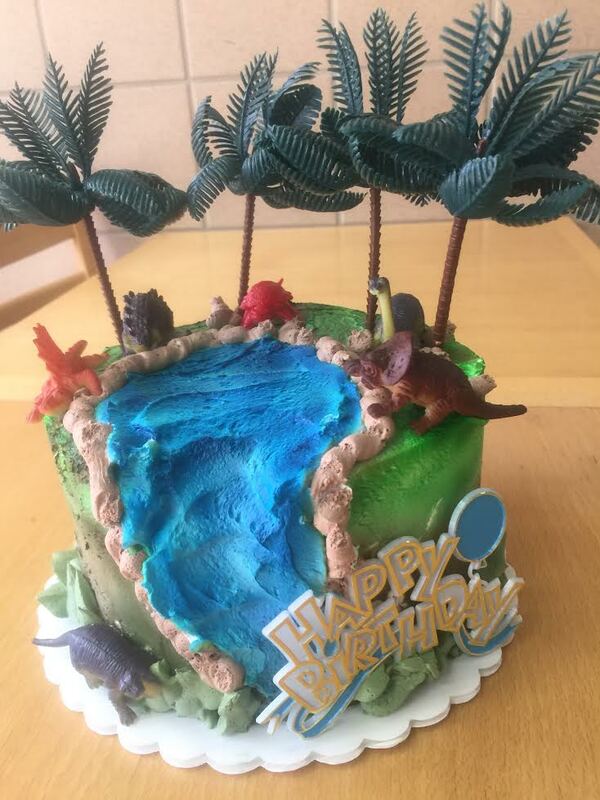 An edible Jurassic Park, made from our Heavenly Chocolate Cake! Five layers of chocolate! A white chocolate cake, topped with white chocolate mousse, dark chocolate cake, dark chocolate mousse, covered with white chocolate ganache & white chocolate curls.